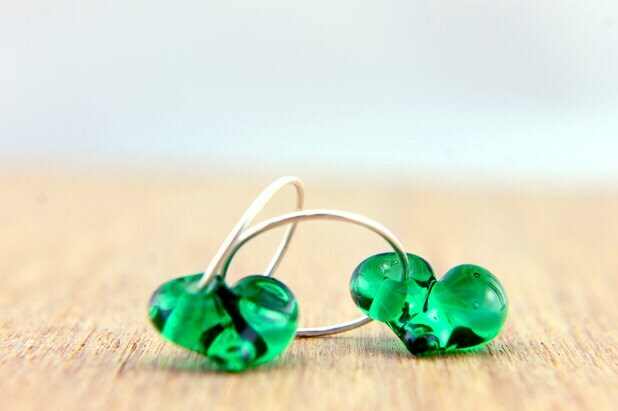 Emerald Green Earrings . 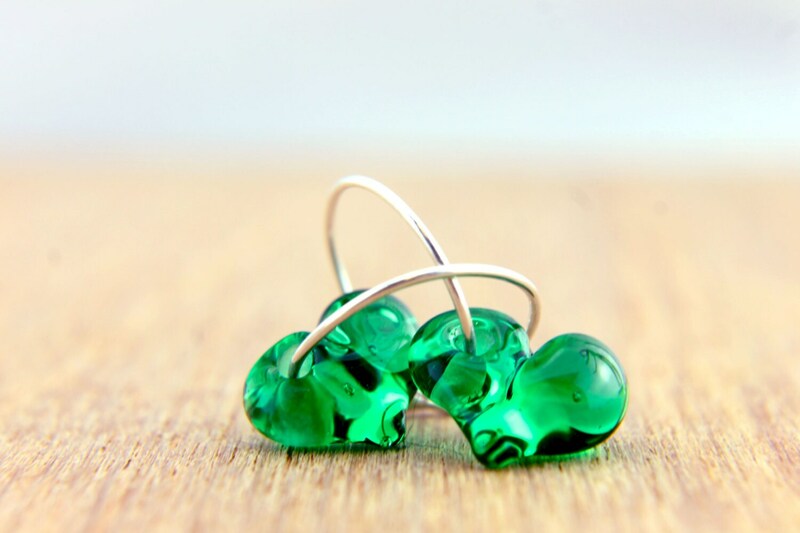 Simple and modern earrings. 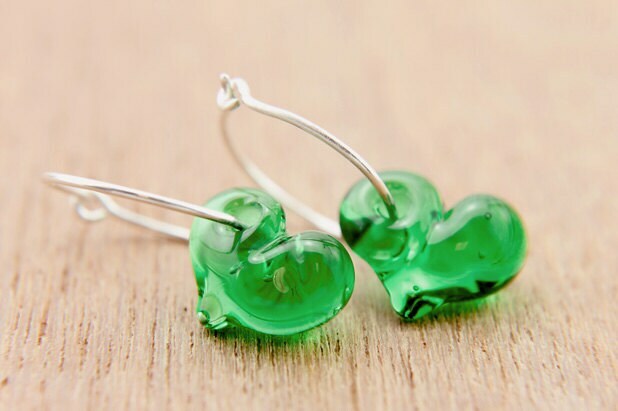 My handmade glass bead have organic heart shape (made by hand), it is approx. 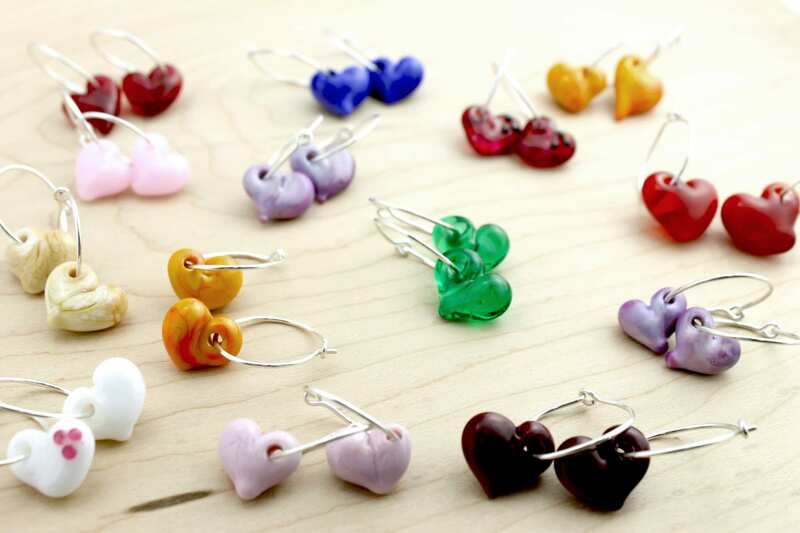 1,9x1,2x0,7cm (hearts) Earring hoops (18mm diam).